Would you agree that getting a good scope for your gun can be a hassle and it can be quite expensive as well? You want something that will help you get that perfect shot and when you’re already spending a lot of money on a gun you want something that is going to improve the gun, not just sit there and take up space, right? So how do you get the best AR optic under 200 dollars? You actually don’t have to spend a whole lot of money in order to get that great scope. Finding one under $200 is actually easier than you may have thought, giving you a much better experience while still allowing you to keep the money that you need for other things. What could be better than that? 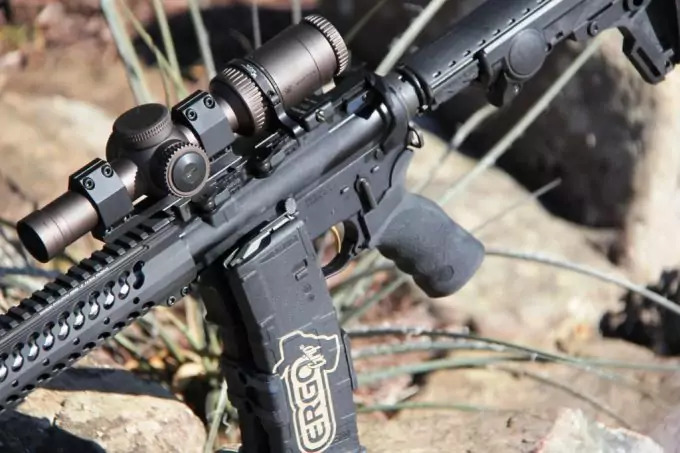 We actually already found some of the best options out there to put on your AR, and without having to spend a fortune to do it. That way, you can make sure you have a great experience out there hunting or even target shooting, but you don’t have to break the bank in order to do it (so there’s no required money you have to spend to enjoy yourself). Before you purchase your scope you want to know a number of different factors about it. Keep in mind that you’re trying to save some money, but you still want to get a high quality product that you can count on. No one wants to spend money on something that doesn’t help them, even when you have to sacrifice a bit on the cost. You want to know the weight of anything that you put on your gun. Think about it, you’re going to have to carry that gun with you, potentially for a long distance. The more it weighs, the less you’re going to want to carry it and the more difficult it’s going to be to make that shot when you finally get around to it. A lighter weight, however, is not always the best option. You want to be careful when it comes to choosing something too light as that could mean it’s not as high quality. Compare the weight on different scopes and see if you can try them out as well, so you can see what the weight translates to when you’re actually using the scope. How that scope mounts to your gun is going to be an important factor as well. There are two common types of rails that most scopes use, though not all. These are Picatinny and Weaver, so make sure you know which one your gun uses (or if it uses something else) and make sure you pick a scope that uses the same rail system. Keep in mind, some scopes will allow for either of these rail options and some will only allow for one or the other. You don’t want to spend money on a scope only to find out later that it doesn’t use the rail system that you thought or that your gun isn’t compatible with the rail systems that you thought it was. There are three different types of reticles that you will find on different scopes. 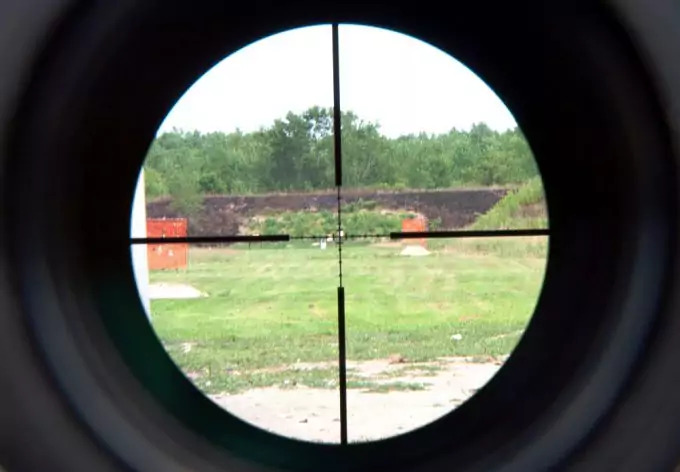 A BDC reticle is one that is growing in popularity because it actually shows you where to aim not only with perfect conditions, but also if you’re further out or if you’re shooting in windy conditions. These reticles help you see the bullet drop of a specific distance so you know where you’re going to hit. A mil dot reticle shows you dashed marks or dots on each line of the center so you can adjust your aim if you miss the target without having to raise or lower the scope itself. You can use the dots to help you get the right spot as long as you know the size of the target you’re shooting. Finally, a duplex is the standard style of reticle, which uses only a cross in the center of the scope that you can use to aim at whatever you’re shooting. It doesn’t help you with things like wind or even further distance however, so you’ll have to make any necessary adjustments yourself. Next, we come to MOA vs. MRAD, which are two different ways to help you adjust the scope for distance and correct visibility. With an MRAD scope you get measurements in milradians, which are exactly the same size as the amount that you’re off. If you’re off by 3.6” at 100 yards that’s 3.6” on the scope, which is definitely easier to understand than some of the MOA versions. MOA, which stands for Minute of Angle, gives you a comparison of approximately 1 MOA to 1 inch if you’re 100 yards away. This can be great for simple distances like 100 or 200 yards, but when it comes to strange distances (like 128 yards) it can be more difficult to get the adjustments right. 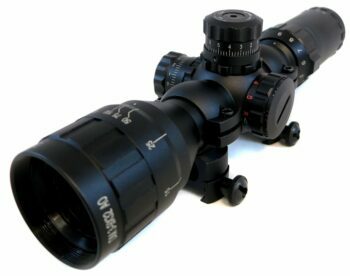 Finally, magnification is an essential aspect to any scope. You want something that will have a good amount of magnification so you can see wherever you want. 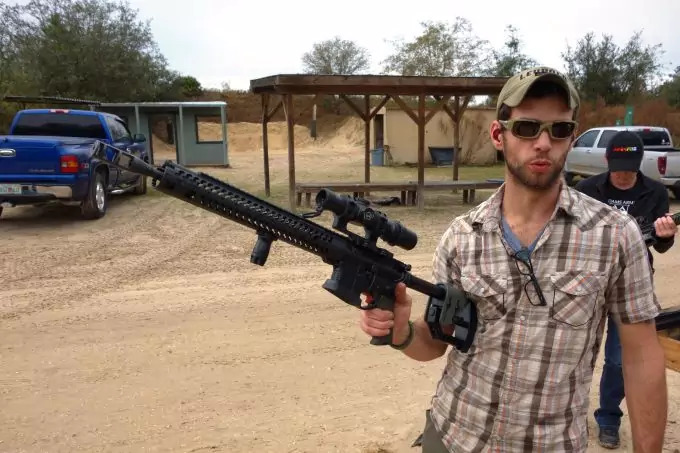 If you’re going to be target shooting you can go with just about any magnification, but if you’re going to be hunting you’ll likely want to something that gets around 5x-10x magnification. 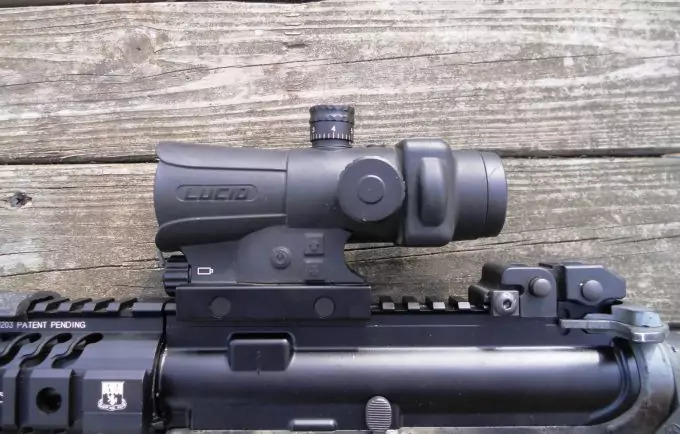 Some scopes will only have one magnification level, but these are generally not what you really want to go with unless you really need to save some money. A little bit of variance and options to your scope is going to help you a great deal when it comes to seeing what you’re trying to hit. Take a minute to look at each of these products and see which one is going to work out best for you. You may be surprised with all the great options there are out here and just how you can get the most bang for your buck. There’s no reason that you should have to skip that next hunting trip or trip to the range just because you can’t afford (or don’t want to afford) some big expensive scope. 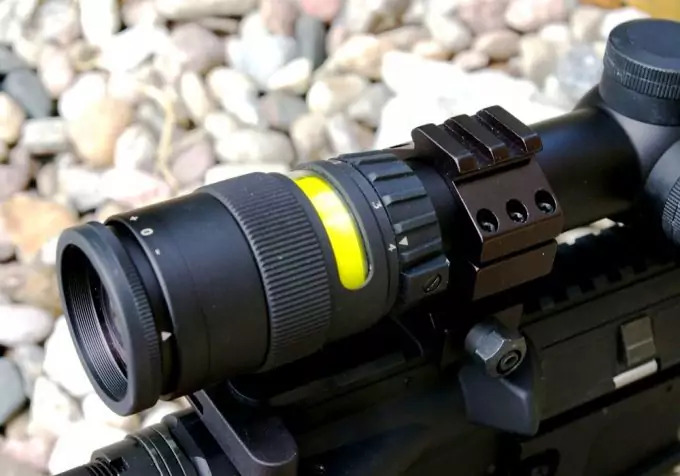 The Monstrum Tactical AO Rifle Scope is designed in two different colors and with three different combinations available for rings and scope color. It can be adjusted between 3x and 9x magnification so you can easily hit whatever you’re aiming at and it has 5 different brightness levels available on the reticle illumination, as well as two different colors. With this scope you get an adjustable objective lens so you can get the ideal focus as well as no parallax. The range finder reticle makes sure you know exactly where you’re going to hit when you shoot and the aircraft grade aluminum construction ensure your scope can stand up to just about anything. It’s designed not to rust, and keeps water out. At a low price, this is a good budget scope for just about anyone and provides you with decent quality at that low cost. It also comes with high rise mounts and can be zeroed in very quickly and easily. Related: If you need something to help you support your rifle while you shoot the CVLIFE Tactical Rifle Bipod is a great choice. It’s not too expensive and it’s designed with two adjustable legs to hold your gun just where you want it. The Bushnell Optics Drop Zone Rifle Scope is priced low for those who are on a budget (though not quite as low as our last option). It offers a BDC reticle, so you can easily shoot at a longer distance while still getting just the right sight lines. Longer than some other options, this scope uses the second focal plane to get you just what you’re looking for, including fast focus through the eyepiece. With this scope, you get long range accuracy through the side focus parallax adjustments and ¼” MOA click value, which keeps everything exactly where you want it. 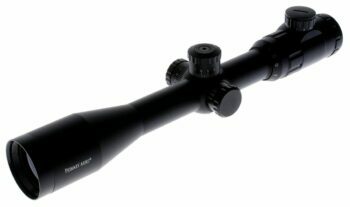 Made with aluminum alloy to prevent rusting and keep this scope lightweight at the same time, it also has multicoated optics to increase the brightness in the best way possible. The reticle is very thin, which ensures you can see just where to aim and the glass is extremely sharp and clear at the same time, making it easier than ever to know what you’re doing and just what you’re looking at. 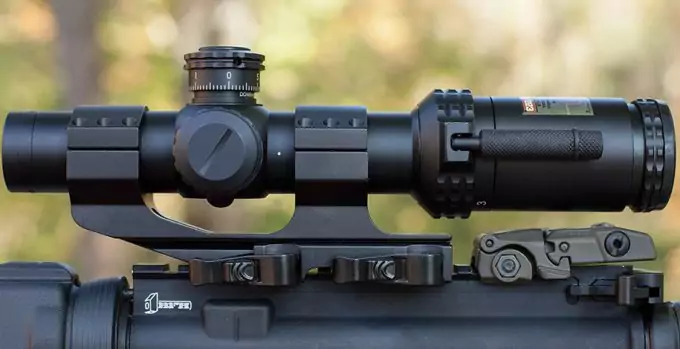 Related: The UTG Picatinny QD Rings here are a great addition for this scope because they ensure you’ll be able to mount it just the way you want. They’re easy to install and are made with aircraft grade aluminum alloy to provide a durable surface that you can trust. The UTG BugBuster Rifle Scope features a 32 mm objective lens along with magnification up to 9x. This means you’ll easily be able to see whatever you’re aiming at without any difficulty. You also get to choose between red and green illumination to make the reticle even simpler to sight in on your target. The large field of view is an added benefit and the sunshade helps you to avoid the glare of the sun while you aim. The completely sealed unit means that it’s fogproof, and rainproof, keeping your scope protected no matter what is going on outside. On top of that, there are lens caps to keep it even more protected from drops or anything else. 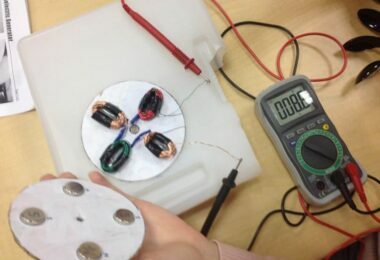 With this scope you get a durable unit for a very low price, which is definitely going to make it worth the investment. It’s great for just about anything you want to attach it to and you can adjust the objective as well as magnification very easily. Related: It’s a good idea to have some good tools for sighting in any new scope that you get and the ELENKER Laser Bore Sighter is definitely a great choice. It’s inexpensive and looks pretty cool (just like a bullet) so you’re definitely going to enjoy using it. All you have to do is put it in the gun and you’ll be able to get a perfect sight line. 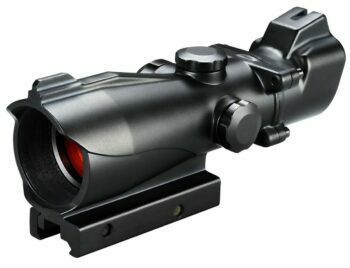 If you’re looking for something simple and inexpensive then the Bushnell Tactical Elite Rifle Scope is a great choice. It’s going to cost you less than $200, and it’s going to give you a flat 1x magnification. That means you’re going to have some pretty good sight lines at closer distances and you’re not going to have to spend a whole lot of money. This scope has five different brightness settings, so it’s great for any time of the day or night. It also has multicoated optics so you don’t get the glare but do get the quality sight lines. Not only that, but it’s 100% waterproof, shockproof and fogproof, which means that you can still use it just fine if it’s dropped or gets wet. Designed to mount with a Weaver style rail, it’s relatively lightweight and small for easy mounting and easy use as well. You can even zoom from 1 MOA up to 10 MOA with ease. Related: If you need an easier way to carry your gun with this scope the Tactical Hero 2 Point Rifle Sling is a great option. At a low price and super easy to use, this is definitely a sling you can count on no matter what you might be doing out there. 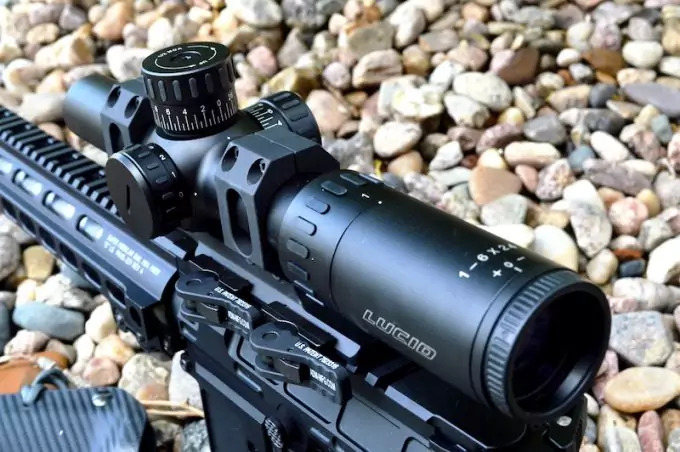 The Primary Arms Mil Dot Rifle Scope offers magnification between 4x and 16x, which means that it can get you sighted in on your target even from a pretty long distance away. It also provides a 44 mm objective lens, which ensures you get just the right amount of light into the lens. You also get a water resistant scope that can stand up to rain or even drops into a puddle or other surface. 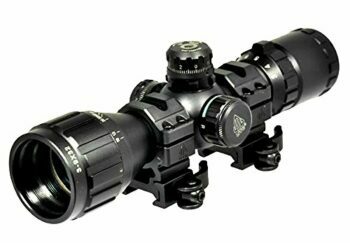 This scope offers side mounted focus controls as well as a mil dot reticle that helps you get sighted in more easily. It comes with a one year warranty as well as caps for the scope to protect from glare. 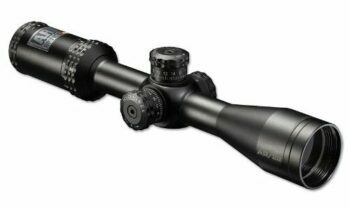 Easy to zero in and ideal with high scope rings, it’s good for just about any purpose and will provide you with good distance capabilities including 600 yards and more. 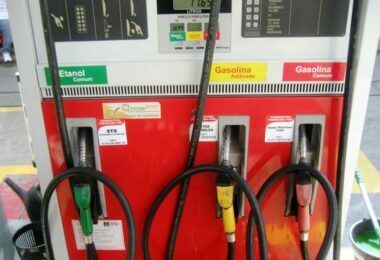 Good quality for the amount of money you spend, this scope ensures you have everything you need for a more inexpensive option. It also has a clear image, even up to the 16x magnification. Related: if you want to mount this scope up a little higher, you may want to take a look at the UTG Medium Profile Rings here. They’re inexpensive and they are made with high quality aircraft grade aluminum alloy. Not only that, but they are easy to install and work with Picatinny or Weaver rails. 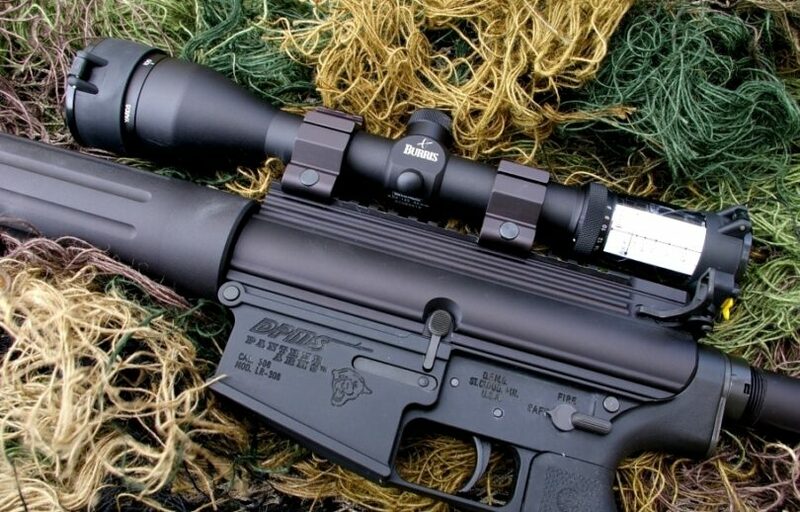 The Barska IR Hunting Rifle Scope is a little more simplistic, but still provides what you need. It has magnification up to 4x and still provides a waterproof, fogproof and shockproof surface, so you’re going to be more than ready for absolutely anything. That means it’s still going to work just fine, even if it gets dropped or if it rains in the middle of your trip. Designed with three different options for the illuminated reticle, including green, red and black, this scope is glass etched and features an integrated sunshade to keep you from getting glare as you aim. Easy to adjust, it does require batteries in order to use the illuminated aspect, but can still be used without this as well if you prefer. You’ll be able to see clearly through the lens, without having to worry about a fuzzy surface or anything else just because it’s a less expensive scope. 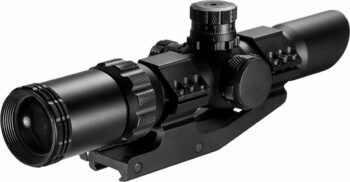 With the Vortex Optics StrikeFire 2 Scope you don’t get magnification, but, rest assured, you are going to get an easy to use scope that provides you with a very clear and wide picture of what you’re aiming at. You will be able to choose between red or green dot sights, depending on the current light conditions and personal preferences, and you’ll have no problem getting plenty of light out of it for anything you want to accomplish. With this model, you’ll get up to 6,000 hours of illumination, when set on the lowest brightness setting, and you don’t have to worry about dust, debris or water getting into the unit because it’s sealed to keep everything out. 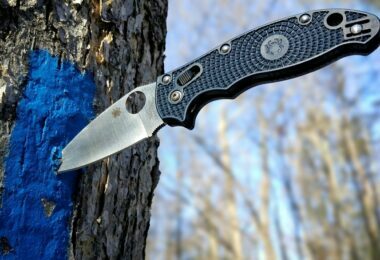 Not only that, but it’s strong and durable, even when dropped or if you have a gun with a strong recoil. You’ll be able to set up this scope just the way you want and do that quite easily and fast. 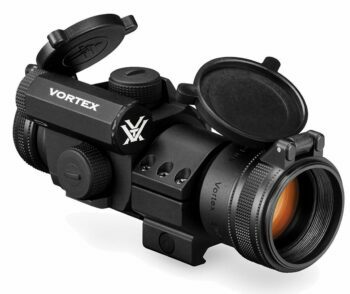 Related: The Vortex Optics Flip Cap Cover is designed to protect your lenses when you’re not using them and to provide an easy to use cover at a low price. This one can be flipped up or down quickly and easily and is made with high quality materials. We have reached the end of the article and we hope that by now, you are fully capable of keeping an eye on the features that are the most important to you, and that among our reviewed products, you found at least one that fits all your needs. All-in-all, you’ll probably be surprised at all the great options there are when you’re looking for an inexpensive scope. Any of these will help you to get what you’re looking for and they’ll help you make sure you can hit that target next time, no matter what kind of target it is. No matter what your budget is, you can definitely get out there and have a great time. So what do you think of these scopes? Have you ever used one and have something to say? Do you have any other important features we should be looking at when buying a new scope? Or maybe you have a different inexpensive scope that you think should be on the list? We definitely want to hear all about it.